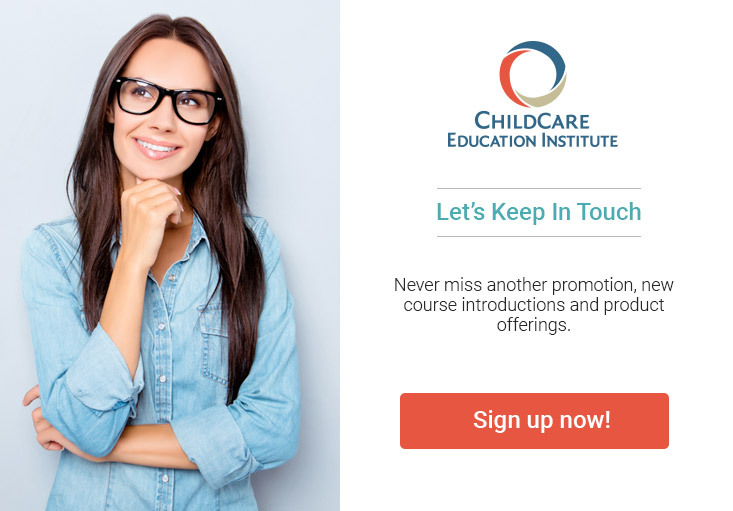 Courses offered by ChildCare Education Institute (CCEI) may be accepted by the Delaware Office of Child Care Licensing as Community-Based Training to meet annual in-service training requirements. Courses offered by ChildCare Education Institute (CCEI) may be accepted by the Delaware Office of Child Care Licensing as Community-Based Training to meet annual in-service training requirements. For additional information regarding the acceptance of CCEI’s coursework in Delaware, contact the Office of Child Care Licensing at 800.822.2236 for Kent and Sussex counties, or 302.892.5800 for New Castle County.